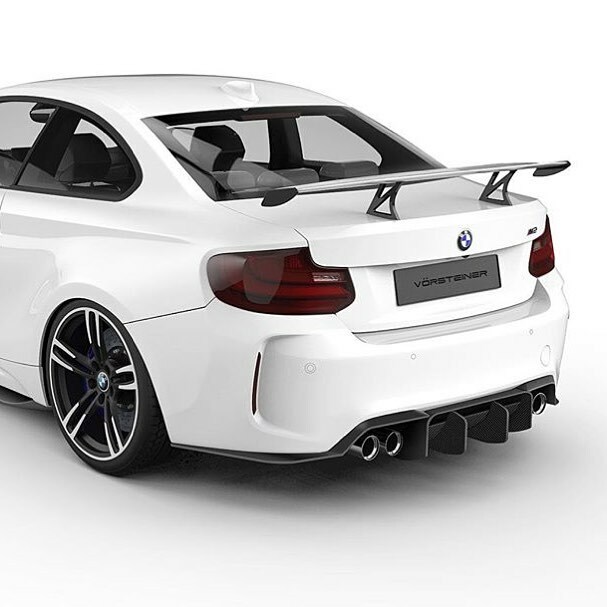 As the BMW M2 is getting more and more popular these days, tuners around the world are rushing to bring out as many tuning parts as possible for the baby M. A while back we showed you the first image of a BMW M2 wearing a Vorsteiner hood as well as a front bumper air splitter. The teaser worked as a lot of people expressed their curiosity to see what the American tuner will be bringing out in the end. Today we’re showing you yet another piece of the tuning program, thanks to yet another photo posted online. This time we get to see the BMW M2‘s back side and a couple of things are instantly noticeable. 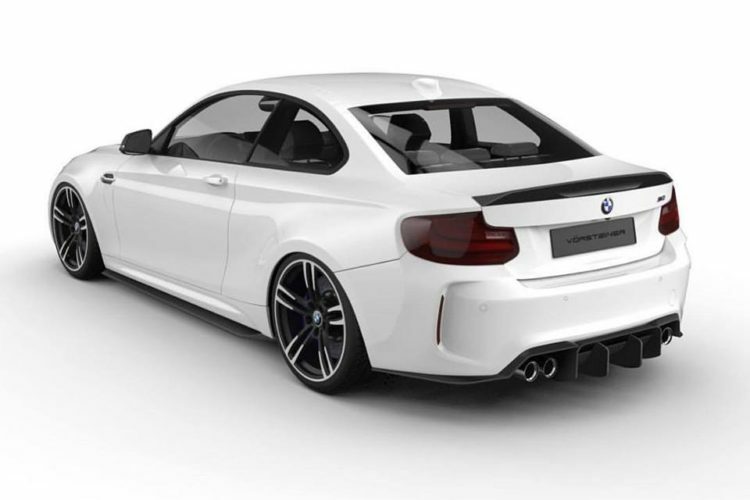 The rear bumper gained a new and massive diffuser housing the four tailpipes. Then there’s also the spoiler on the boot that can either be rather subtle or transform into a full-on wing. It’s good to see that Vorsteiner is planning to offer more choices for the enthusiasts out there, depending on their taste. And while the wing might make your car stand out in the crowd, it may be a bit too much for some people that prefer to keep a low profile.